"The Young Messiah" is the story of Christ's childhood. Who was he? How did he grow to be the world's Savior? What must it have been like to know the Christ child? The Young Messiah is the story of Jesus' youth (Wikipedia). LOS ANGELES, CA (Catholic Online) - On "The Young Messiah" website, it is explained: "Inspired by Scripture and rooted in history, this story imagines a year in the boyhood of Jesus. Remaining true to the character of Jesus revealed in the Bible, The Young Messiah is an inspirational story about the childhood of the Savior for the whole family. "When the mystery of Jesus' divinity begins to unfold in his early years, he turns to his parents for answers. But Mary and Joseph, in an effort to protect their child, are afraid to reveal all they know. How do you explain the ways of the world to its creator? How do you teach the teacher? How do you help the Savior who came to save you? "Follow the young Messiah as he and his family take the extraordinary journey from Egypt to Nazareth and on to Jerusalem - where his true identity and profound destiny are revealed." "Our story takes place during one year in Jesus' life when he was seven. With the Holy Land in turmoil young Jesus and his family leave Egypt for their home in Israel. Joseph and Mary are fully aware of the dangers of their world: A corrupt King Herod, civil unrest, and a brutal occupying Roman force. We see a real family face crises and foes large and small with love, fidelity, humor and especially faith. "Knowledgeable viewers will see in our film events and images that foreshadow Jesus' life as depicted in the Gospels. His compassion and understanding far exceed his years, yet in time he will grow 'in wisdom, and in favor with God and man.' (Luke 2:52). The Young Messiah is meant to feature Christ's life before he became known (YouTube). "While we hope that our film finds a place alongside other Jesus classics, it's more important to us that it inspires people to visit, or revisit, the Jesus story from a fresh new angle. As believers, we hope that children will be attracted by another child's story - Jesus' story - and that this can be a Passion of the Christ for the entire family. We even hope that, in some small way, our film leads viewers to the transformation and grace that Jesus extends to us all." The Blaze reported an interview Nowrasteh had with The Church Boys, in which he explained the making of "The Young Messiah" led him to ask a question concerning miracles. media id="18191"] "It came up so many times, the issue of miracles, and the question was, 'Well, he doesn't perform his first miracle until the wedding, where he turned water into wine, but he's induced to do that by his mother, by Mary," Nowrasteh explained. "And then the question that I would ask: Is that the first recorded miracle - or the first miracle, period?" In his search for an answer, Nowrasteh consulted with several theologians, none of whom could agree on whether Jesus' first recorded miracle, in John 2, was Christ's first miracle ever, or simply the first one recorded. Nowrasteh explained that the initial question led to others. If he had a chance, Nowrasteh said he would ask Jesus, "How does [Mary] know you can perform miracles? And when did you first realize that you could?" The exciting possibilities from producing the story of Jesus' youth doesn't end with the simple asking of questions. It inspires interest and knowledge about Christianity and what God sacrificed. No longer is Jesus a man known for miracles and saving people's souls. The film hammers home the realization that God literally sent a child - His child - to die for our sins. Suddenly Jesus isn't an image hanging on the wall or the cold, dead image on a crucifix - He is a living, breathing boy that grows into the greatest man ever to live. Nowrasteh realized the gravity of the decision to depict Jesus as a child and was careful to approach the subject with extreme caution and respect. 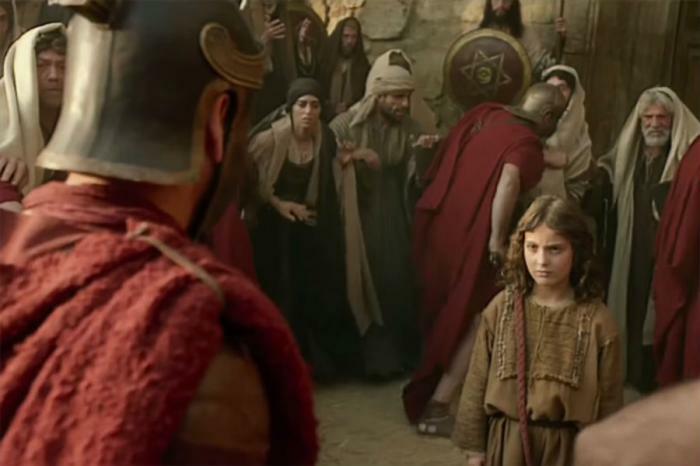 "He's 7 years old throughout the story, so we wanted to make sure that, theologically speaking, we weren't doing something that would be offensive or would be a problem," Nowrasteh said, adding the production team's firs priority was to ensure there was "nothing in the story that contradicts anything in the Bible." To listen to Nowrasteh discuss "The Young Messiah," click here. "The Young Messiah" is set to release nationwide on March 11.